19 goals in 26 appearances is a very good record for a 21 year old player who has been making a huge impact in the Premier League and for his country as well. Harry Kane is now appearing in the headlines of just about every football website and magazine as the young player has been making a string of impressive performances in this season. Harry Kane is even being valued at €100 million as the former footballer Rodney Marsh stated that Kane is worth that much money and he is even better than Manchester United’s Angel Di Maria. ‘’Angel di Maria cost Manchester United £60million. I think Harry Kane is a much better player than Di Maria in the Premier League’’ Former coach of the England national football team, Rodney Marsh said. Kane has been receiving praise from everywhere as he continues to standout and Emmanuel Adebayor is one of the latest football figures who hailed the 21 year old English forward. Emmanuel Adebayor even believes that his team and club (Tottenham Hotspur) can secure a position in the top 4 of the Premier League but this will depend on how well Harry Kane manages to perform until the end of the season. “It’s quite hard sitting on the sidelines but I’m very happy and pleased for Harry Kane, who has been doing fantastic,” said the striker, who has scored two goals in 16 appearances.I think he is the only one that can save our season, like I did the last season. Two years ago, it was Gareth Bale.Kane is learning through his difficult moment as well but he is fantastic player. “If he keeps scoring two goals every weekend, he can save us.We all have a huge faith and believe in him. 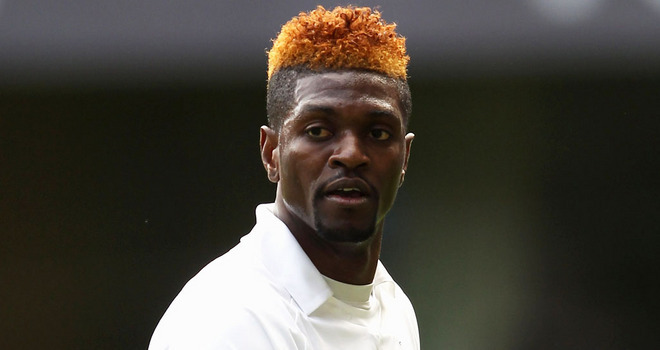 Hopefully, he will drag us out of the top seven and put us in the top four.”Adebayor said as he praised Harry Kane. The meteoric rise that Harry Kane has been experiencing is great for Tottenham Hotspur as the Premier League club has sealed crucial points thanks to the goals of the young player but at the same time it makes it very difficult for Adebayor to get back in the main team as the spotlight is being grabbed by the player who is being considered to be one of the saviors for England in the upcoming years.